“No one is a danger in a democracy,” said the BJP president. “Don’t consider it a personal attack. He (Rahul Gandhi) presented some issues in front of people and I have only tried to answer it. No one is a danger in a democracy. Our party has done good work and as long as we continue it, the people will keep supporting us,” Mr.Shah said while responding to a question on whether he considered Rahul Gandhi a threat, during an early morning press conference in Ambikapur town of north Chhattisgarh. “I am asking an account of four generations (of Gandhi family’s rule) to him [Rahul Gandhi] because he is the Congress president and his family has ruled this country for 55 years. When you become the president of the Congress, you have to answer about the Congress’s legacies. The way I am answering about the BJP’s, being its president. There can’t be an objection to this,” he added. 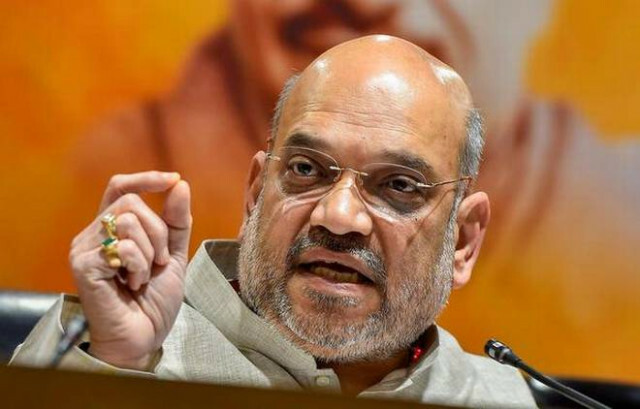 Mr. Shah, who is on a two-day long trip to Chhattisgarh, had accused the Congress party of spreading lies and demanded an account of 55 year-long rule of the Gandhi family during a rally in Sarguja district of north Chhattisgarh on Sunday. Mr. Shah also denied that the middle class was moving away from the BJP and informed that the government was equally concerned about the rising fuel prices. “If middle class had been moving away from us, then we would not have won elections on such massive scales. This is a misleading propaganda. We have done a lot for the middle classes. A lot of schemes have been especially dedicated to the middle classes. All sections of the society have supported the BJP which is why we could get elected and form the government in 14 States. The government is thinking about the issue of fuel prices constantly and in last 12 days, the prices have been reduced. The government is keeping an eye on it and is worried about it,” Mr. Shah added. On Congress’s allegations that the highest number of soldiers have died on the border during the Modi government’s four-year rule, the BJP president shot back saying that the Congress should also give the number of terrorists killed during these four years. “The highest number of the terrorists have been killed in these four years. There is no confusion in the mind of people that India’s borders are secured now,” he pointed out. With Chhattisgarh Chief Minister Raman Singh by his side, the BJP president reiterated that his party’s “Mission 65” for the upcoming Assembly Elections in Chhatisgarh was going to succeed and claimed that the people of the State have made up their mind to elect a BJP government for the fourth time in the State.